OtherSide Entertainment – SURPRISE! Underworld Overlord St. Patrick’s Sale! Only $5.99 USD! Ends March 20th 2017! SURPRISE! Underworld Overlord St. Patrick’s Sale! Only $5.99 USD! Ends March 20th 2017! SURPRISE! 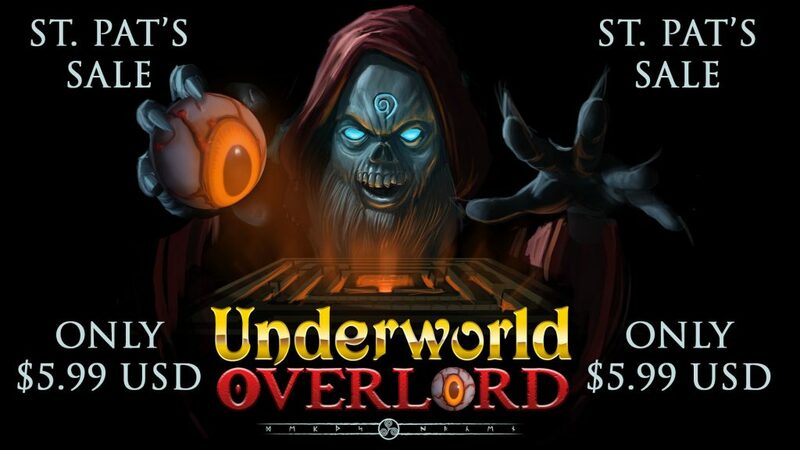 Underworld Overlord St. Patrick’s Day Sale! Only $5.99 USD! Ends March 20th 2017! Underworld Overlord, our Google Daydream exclusive VR game (that has gotten great reviews and ratings – thanks, everyone! ), has a surprise St. Patrick’s Day sale! Only $5.99 USD (from $7.99 USD) for this St. Patrick’s weekend! The Underworld Overlord St. Patrick’s Day Sale ends March 20th, 2017. The Underworld Overlord St. Patrick’s Day Sale ends March 20th, 2017. Don’t miss this incredible deal on an incredible game! Thanks very much from all of us at OtherSide! Enjoy!